"Cheer up! 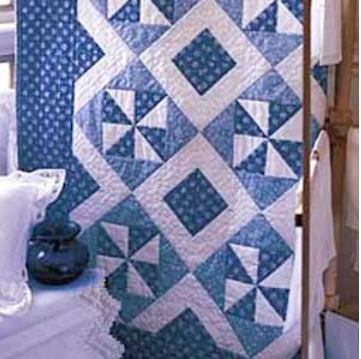 With dozens of daisies spilling playfully across this quilt, you'll be anything but blue. Two shades of blue combined with true white make Ann's design a beauty."